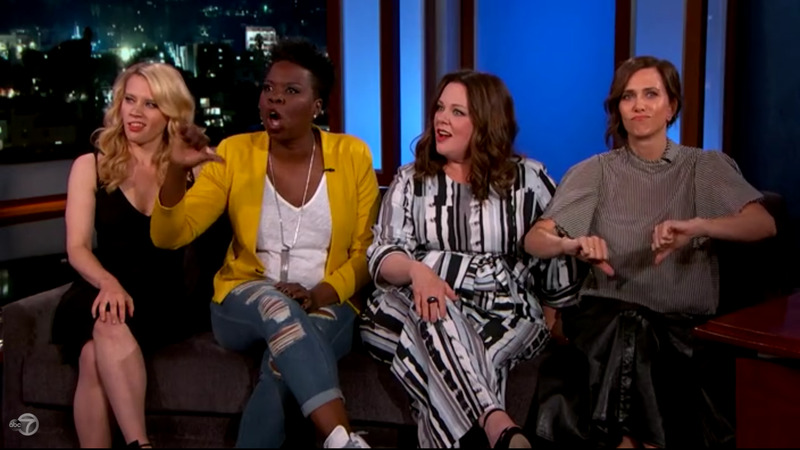 ABCThe stars of the ‘Ghostbusters’ reboot boo the haters of their all-female led film. 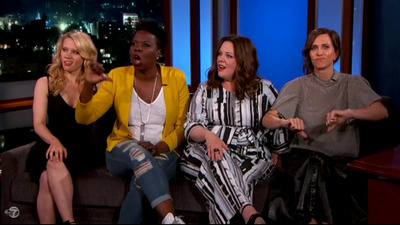 During an appearance on Wednesday’s “Jimmy Kimmel Live!” the actress sarcastically addressed those who oppose the all-female reboot of the 1984 film. “What they don’t say when they’re typing is that one minute after they type their mum is like, ‘Get upstairs and take out the garbage! You’re 45 years old,'” McCarthy said on the late-night show. The “Ghostbusters” reboot has received an unending wave of criticsm since its trailer was released in March. A trailer that is actually one of the most disliked videos of all time on YouTube, with more than 860,000 dislikes currently. For comparison, the trailer for the universally bashed “Fantastic Four” 2015 reboot only has 20,000 dislikes.